Mother’s Day is around the corner! 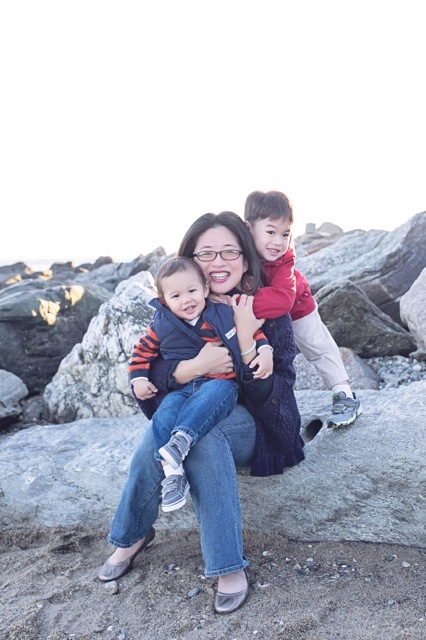 In this spotlight feature, get to know Yvonne, mother of two adorable boys and Owner/Creative Director of Double Happiness Creations. NS: Briefly describe your role at Double Happiness Creations. Yvonne: I am the Owner/Creative Director of Double Happiness Creations. Yvonne: It’s been 16 years now! NS: Describe Double Happiness Creations products and offerings? Yvonne: We design couture wedding stationery and birth announcements for our clients. Yvonne: I was always drawn to the wedding industry at a very young age. It wasn’t until I was asked to design a wedding program for my sister and for a bunch of her friends (all getting married around the same time) that the entrepreneur-bug bit me. But I was smart about it, it took me about 5 years working with clients via word-of-mouth before I was brave enough to quit my full-time day job. Yvonne: Customer service!! Have great customer service. If a bride emails you, write her back within 24 hours. She will appreciate it and often times, the extra effort will land you a new client. In this day and age, everyone wants instant gratification, so taking two days to respond will feel like two weeks. NS: What are your objectives this year with Double Happiness Creations? Yvonne: In 2015, I plan to keep on doing what I’ve been doing. Each year brings new and exciting projects and I look forward to what comes my way. Yvonne: My to-do list. I write everything down that I need to accomplish for the day and cross it off my list as I go. It keeps me organized and gets my work done. It sounds so simple, but it has always worked for me. Yvonne: Beauty is happiness. If one isn’t happy on the inside, what difference does it make what you look like on the outside? Yvonne: Being that I am a mom of two boys running around like a headless chicken most of the time, I don’t have a specific beauty routine anymore. But I learned from my grandmother to never leave the house without lipstick on. Yvonne: Coconut oil is just awesome. I keep a container in my bathroom for dry skin. Special thanks to Yvonne for sharing with us!